Novelli, previously vice president of worldwide government affairs at Apple, was instrumental in creating the US free trade agenda with the Middle East and most of the bilateral trade and investment agreements with Russia, Ukraine, Central Asia and Central Europe. 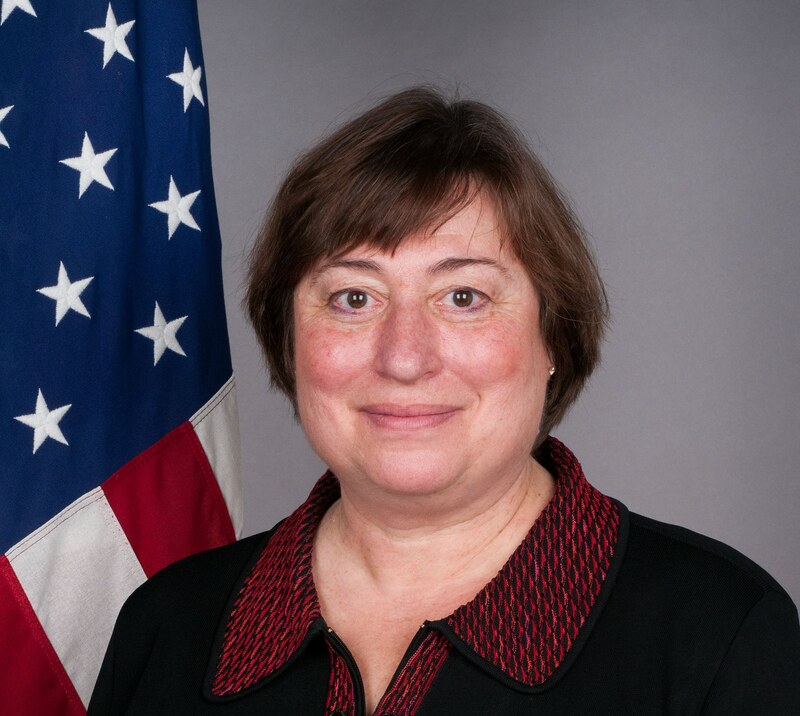 She is the point person for the economic relationship between the US and Europe and senior economic advisor to Secretary of State John Kerry. She spoke to EURACTIV’s James Crisp about Ukraine, TTIP, European innovation and data-privacy in a post-Snowden world. Let’s talk about the sanctions against Russia. Do you think the EU’s response has been strong enough? We have been working hand in glove with the member states, and with the European Commission, to try and present a united front that the steps that Russia has taken with respect to Ukraine are not within the bounds of international law, and that they’re not acceptable. We need to act in solidarity on this. We and Europe have taken slightly different sanctions because we have slightly different systems but the message is the same, which is we stand together against this type of action. How far are the US and Europeans aligned on sectoral sanctions [sanctions targeting imported goods or services]? Clearly there is a large amount of discussion going on right now between the US and the EU about the whole range of things. I think from both of our standpoints it is critical that the elections take place in a fair and open way with the participation of the population so that democracy is served. I think President Obama and Chancellor Merkel [who met Monday] were quite strong in saying in a unified way that for us this is absolutely essential. It’s the bedrock of the modern democratic world in which we live. What sort of support is the Ukraine going to get from the States? We are doing quite a bit. We have dispatched numerous technical advisors, our treasury people are out there helping on assets recovery, and they’re trying to find out where things have gone so they can get them back. We have economic folks out there we’ve dispatched. Our ambassador who works on energy, who works for me, has gone there to talk about energy efficiency, about how to work on reverse gas flows and alternative supplies; we’ve been really trying to do that (see EURACTIV news story here). In addition, the US has approved a billion dollar loan guarantee for Ukraine to complement the stabilisation plans that the IMF is implementing. Does that loan have conditions attached? The IMF structural funds were conditioned and we have largely piggybacked on those. There has been criticism of conditioned loans, from civil society organisations for example (here). How do you answer those criticisms? There are some structural issues that Ukraine has, like its very large energy subsidies. There’s been a lot of corruption. That’s caused a lot of these problems. I think that those providing funds want to make sure the funds they are providing are going to get used in a way that helps the situation. Continuing to do the same thing and have people continue to give you that money, is only going to waste that money. Is there not a risk that cutting energy subsidies and IMF austerity could push some Ukrainians closer to Moscow? I think everybody recognises that you can’t just drop off a cliff, things have to be done in a gradual way. That’s part of the reason these funds are there; to help provide some safety net as these things are phased out. There’s a give and take there on the social safety net side. At the same time if they don’t do this you keep throwing money down a sand hole and that is not going to help people either. A lot of the subsidies are now for heating, oil and gas, and luckily it’s a time of year when things are getting warmer. So I think the weather might help us in terms of phasing this out at a time when demand is not so high. That’s why we’re putting a lot of work into energy efficiency. To the extent that you need to use less, it means the subsidies being phased out isn’t going to hit you in your pocket book quite as much. So there will be energy subsidy cuts before winter? I am not in charge of the pace side of this and I don’t wish to misspeak but I believe folks are looking at doing this in a rational way. Certainly consumption will be way less right now because people don’t need it for heating. So the question is can we work on the efficiency side? Can Ukraine be buying energy now to store for the winter, which is its normal practice, and can we be at a place when, come winter, this won’t be so difficult or cause social upheaval? Is Europe over-reliant on Russian gas? I don’t think that’s for me to say. I do think that folks here are re-examining here what this looks like in terms of our situation. Obviously it’s important to have reliable suppliers and what does that mean? And also thinking about what is alternative energy and how does one move forward with that? Sometimes I think crises are good catalysts for people looking at not just alternative suppliers but also alternative forms of energy. Are you talking about shale gas? I think that’s totally up to Europe. I know it’s a very controversial thing here. Obviously the US is looking at this and trying to make sure this is done in an environmentally sound matter and I think it’s obviously something Europeans are going to have to determine for themselves if they want to go down that route and I understand that different countries have different opinions on this. From an American point of view, has shale gas been a success? It certainly has provided us with self-reliance in terms of gas supply. I think there are certainly lots of questions that people have about this but we have tried to allow for this in the most careful way that we can and robustly try to protect the environment. Have you sensed any lingering resentment over the NSA spying scandal or the Edward Snowden controversy (here) during your visit? I’ve had an incredibly warm reception. I think we all acknowledge the Snowden revelations. Since that time President Obama has given a speech, where he outlined the need to balance making sure were all safe with privacy protection.And just two days ago, John Podesta [counsellor to President Obama] issued his big data report, where he again emphasised this and talked about the need to have privacy protections for those who are not US citizens, as well as US citizens [Read Podesta’s opinion piece in EURACTIV here]. I am hoping we are at a place where we can turn a page and not lose sight of the fact that we have a big relationship here. We need to nurture it. There’s all sorts of things going on in the world that makes this even more important if you think about what’s happening with Russia and Ukraine. What do you think about big data? I thought John Podesta’s report was insightful. It’s not a roadmap for specific legislation but its saying, okay, we have this world out here where a lot of good can come from all this information, we can help fight disease, we can help fight tornadoes. At the same time, we need to balance privacy, personal privacy, and personally identifiable information and how it’s going to be used and I think that’s going to be iterative. I don’t think this is a genie that we are going to be able to put back into the bottle and I think part of it is also the responsibility of all of us. When we put our information out there on Facebook or Twitter we have to be aware that it is out there. I think there’s a governmental responsibility, a personal responsibility, and I think there’s a corporate responsibility and those pieces need to fit together. But this is such a rapidly evolving process that these different pieces will fit together at different times. You’re meeting Digital Commissioner Neelie Kroes in Brussels. She’s someone I’ve known for many years and is an incredibly dynamic person. We are very pleased with the results of the Brazil Net Mundial meeting [where internet governance was debated by government representatives]. I think we, the commission, and Europe really worked well together. We had a really great result and it reaffirmed the importance of having a multi stakeholders system for governing the internet, which is going to be absolutely vital for the internet to continue to grow and be a dynamic and an engine of job creation, creativity and innovation. I am not a macroeconomist but what I certainly observe is that things are really picking up here. The spirit that people have is one of looking to the future with more optimism and those things are absolutely key. What can Europe learn from the US in terms of innovation? For example US venture capital is a completely different, much stronger animal than European VC. The whole VC world is starting to take root here, which I think is a great thing. What struck me working for Apple is that there’s a culture of risk-taking, particularly in Silicon Valley, even more so than in other parts of the US, where if you start something and it does not work out there is no stigma. And I think if you are in that space you can push the envelope a lot further. There’s a different willingness to take risk and there’s different cultures around that and what happens, but that to me is what really drives innovation. People are not afraid to try out new things and if it doesn’t work out, it’s not, oh my god I am an abject failure. Let’s talk about the Transatlantic Trade Investment Partnership (TTIP). We had an extremely interesting meeting today with representatives of European small and medium sized enterprises and we talked about TTIP. I think it is very important that we make sure it is well understood that this agreement is going to be beneficial to SMEs. Maybe out of proportion to the amount that it benefits large enterprises. We talked about creative ideas to make sure that’s communicated, and also make sure that the agreement, as constituted, is going to address things that are impeding our enterprises from exporting here and vice versa because we want to create more trade, jobs and integration. There has not been much clarity on what TTIP will involve, which has been divisive. What does TTIP cover in energy for example? Traditionally there have not been extensive provisions in our Free Trade Agreements on energy. We certainly received requests from the EU to include this as part of the discussion and were certainly open to seeing what the proposals are. It remains to be seen if that will migrate into the TTIP or not. Commission presidential candidate Martin Schulz this week said the TTIP negotiations should be public (here). What is your response to that call? I didn’t see his comments but I am aware that people have made these comments. This has been one of the most transparent negotiation processes and most outreaching to the public, to the NGO community. We’ve published our negotiating objectives, they are publicly available. There’s an awful lot out there, we’ve asked for comments on our side through the federal register from folks. We’ve had meetings and meetings and meetings, both with our congress and the private sector, and my understanding is that the commission has done the same type of thing. I think the notion that people should publish their negotiating texts in the press is not something that most people would think is a way to ever get to an agreement. It really ends up with people staking out their positions and never really finding a path forward. I know of no government to government negotiations on any topic where the text of the negotiations were put out into public. Finally, should the UK stay in the EU? [Laughs]. That’s for the people of the UK to decide!